Sometimes, you or your loved one needs a higher level of care than can be provided in a traditional outpatient setting, but don’t require the intensity of an inpatient unit. Sheppard Pratt offers residential and structured day programs to meet those needs. When participating in one of our residential programs, you receive around-the-clock care and support, while being empowered to find employment, take classes, and pursue your passions in the community. If you or a loved one are enrolled in one of our structured day programs, you engage in high quality treatment during the weekdays, returning to the comforts of your own home during the evenings and weekends. Sheppard Pratt offers a comprehensive continuum of care for adults with mental health and addiction issues. Camp Journey offers respite care for parents and caregivers who provide 24/7 care for children and youth with mental illness. A short-term crisis residential service to help stabilize someone experiencing a mental health crisis. 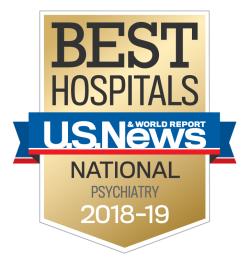 Sheppard Pratt Health System offers a full continuum of services for individuals experiencing psychotic disorders, such as schizophrenia. Intensive programs conveniently located throughout Maryland that deliver individualized services to help clients reach a higher level of independence and meet their personal goals. A voluntary after-school adolescent recovery club house for Montgomery County youth.